He yelled; she calmly measured her words. He displayed raw anger; she acknowledged being terrified. A furious and often aggressive Brett Kavanaugh pushed back hard on questions from the Senate Judiciary Committee. At times he deflected their questions entirely, never stating unequivocally whether he wanted an FBI investigation of the facts and throwing Senator Amy Klobuchar’s question about his drinking back at her with a question about hers, then averring sarcastically that he liked beer as a youth and still likes beer today. He raged that his life had been ruined and didn’t express sympathy for Blasey Ford or any woman whose lives had been ruined by sexual assault. 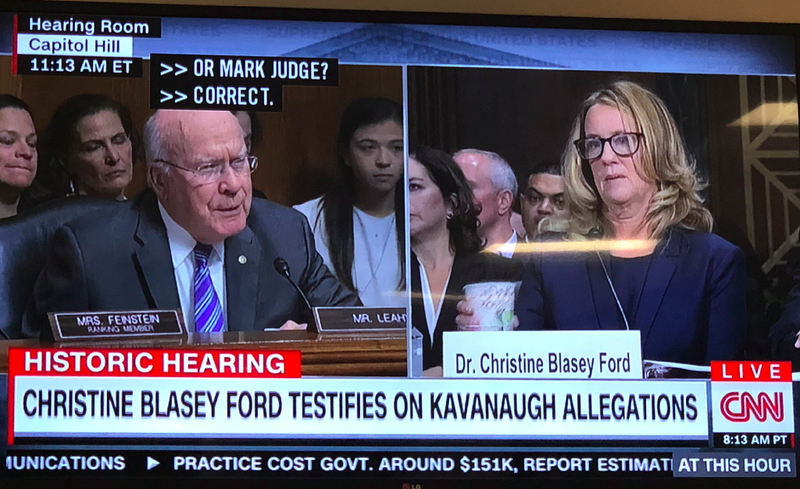 In contrast, a self-contained Christine Blasey Ford testified clearly but politely, never raising her voice as she told her story in excruciating detail. She showed an occasional wet eye but never dissembled (you know, a crying woman might upset the men). She answered each question as asked, without showing rancor that her veracity was being challenged. When she did not have an answer, she said so straightforwardly. She was unfailingly nice. She was appropriately serious, but smiled from time to time as women are told to do, and was never, heaven forbid, unpleasant. I missed seeing the proceedings in real time. As though I was going to another planet, I flew to Miami during the hearing to moderate a panel on shared leadership between men and women at the Vision 2020 national congress . Quite a different topic and predicated in a very different set of assumptions with the underlying belief that equal value should be assigned to men and women in society and in the workforce. But that night, as I flipped through television reports and social media to get a condensed version, I became mesmerized by the classic implicit biases I observed both in the behavior of each of the characters in this drama and the perceptions of their behavior by analysts and the public of various political stripes, including myself. Men are more likely than women to get a pass when exhibiting angry and aggressive behavior. In fact, they are likely to be rewarded for it because it fits their gender stereotype. They are expected to compete for power and position. Women are seen as “hysterical” when they express anger, and “bitchy” when they exhibit aggressive behavior. Women are socialized to be “nice,” to think first of what others think about us whether our appearance or intentions which in turn puts the locus of power outside of themselves. But gender is largely a social construct rooted in the distribution of power in society. As unjust as these culturally learned implicit biases might be on their face, even more troublesome is what they do to our own heads as men and as women in this culture. 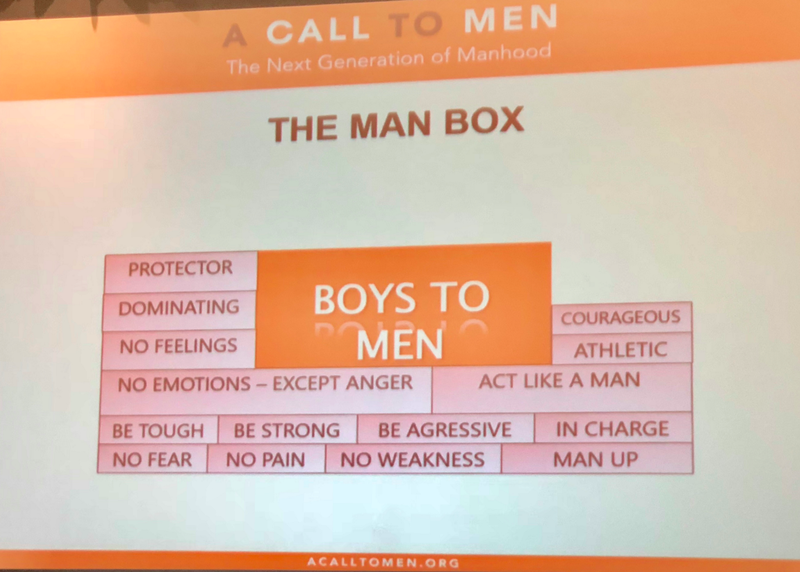 At the Vision 2020 congress, Rickie Houston spoke on behalf of A Call to Men, a nonprofit organization devoted to creating healthy ideas about manhood and eliminating violence against women. He illustrated the toxic “Man Box” socialization at the root of men’s abusive behavior toward women. 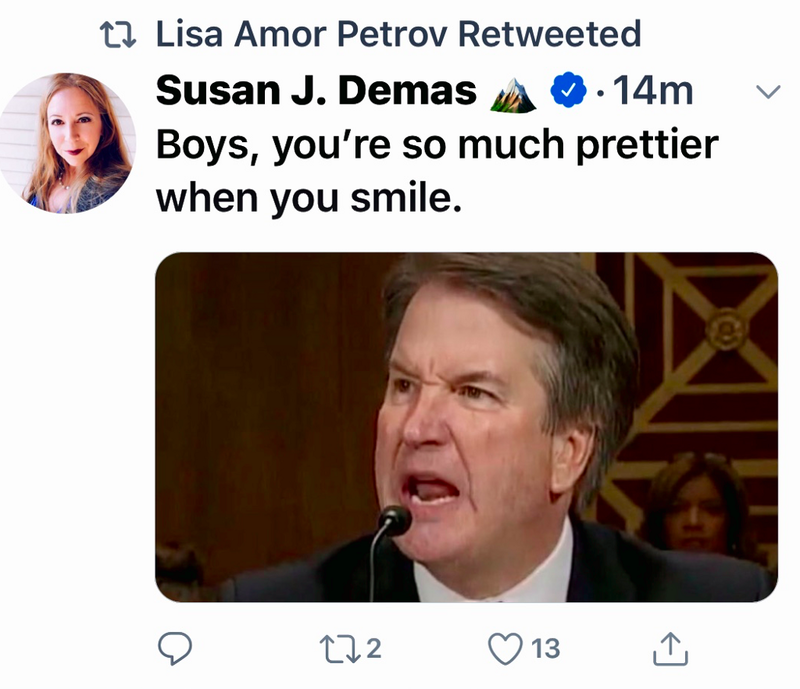 Alexandra Petri explicitly takes on the learned privilege of Kavanaugh’s class of white males, a level of privilege that took him across the bounds of propriety in the hearing and made him sound like a petulant frat boy to many people, male and female. 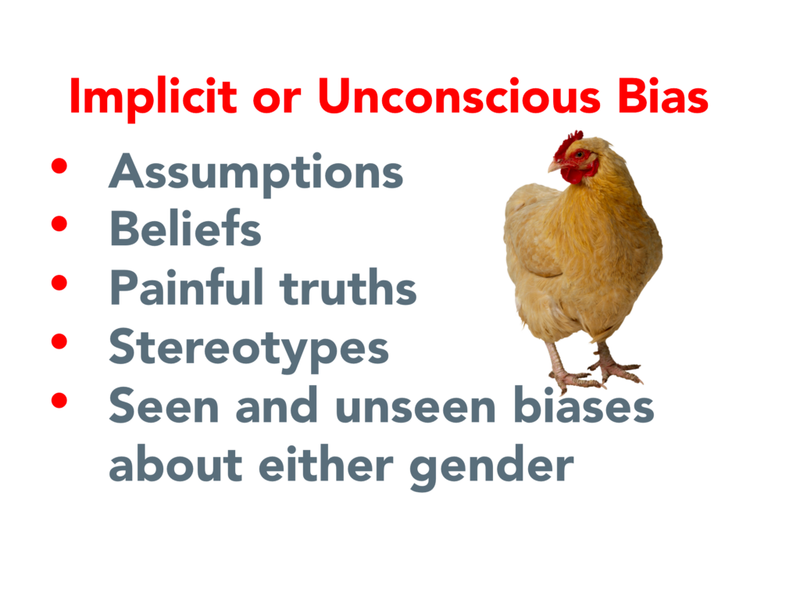 Implicit bias is in the end all and only about power. Who has it, who embraces it for what intention, and whose voice is believed as a result. These are lessons women must learn, are learning in the most painful ways possible, by publicly speaking their truth and taking activist energy from their own righteous anger. The thousands of tiny paper cuts or microagressions that many if not most women endure every day does something negative to our heads. It makes us less confident, less likely to raise our hands for advancement for fear of getting them slapped down. Success and power make a man perceived as more likeable; they are negatively correlated for women, for example. And the culturally sanctioned objectification of women’s bodies gets geometrically multiplied in the media. That’s a recipe for depression, anxiety, and low sense of self-worth. Taken together these factors are why women ask for an average of over $11,000 less than men for the same jobs, according to a Ziprecruiter study. Women have the power to change this culture to one of leadership parity, of shared power as well as shared position. We are the majority of voters, make 85% of purchasing decisions, and create higher profits for companies we work for. That shift to gender power balance is the only thing that will end the violence and harassment against women. But first we have to get out of our own “Woman Box” and use the power of our voices, votes, and vision for ourselves as actors rather than acted upon. As Gloria Steinem has famously said, the truth will set you free but first it will piss you off. That’s because it forces you to come to terms with your own implicit biases, those culturally learned behaviors and beliefs that become a lens for everything you see and every action you take. But to quote Bob Dylan, “The Times They Are a-Changing.” I’ll add, thanks to women like Christine Blasey Ford who summon the courage, even within the bounds of so-called “acceptable” female behavior, to speak their truth and set us all on the path to being free. 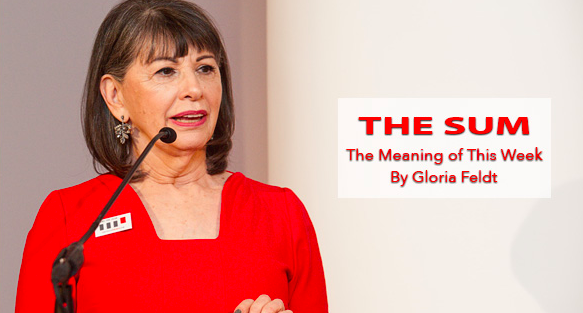 GLORIA FELDT is the New York Times bestselling author of several books including No Excuses: 9 Ways Women Can Change How We Think About Power, a sought-after speaker and frequent contributor to major news outlets, and the Co-Founder and President of Take The Lead. People has called her “the voice of experience,” and among the many honors she has been given, Vanity Fair called her one of America’s “Top 200 Women Legends, Leaders, and Trailblazers,” and Glamour chose her as a “Woman of the Year.” As co-founder and president of Take The Lead, a leading women’s leadership nonprofit, her mission is to achieve gender parity by 2025 through innovative training programs, workshops, a groundbreaking 50 Women Can Change The World immersive, online courses, a free weekly newsletter, and events including a monthly Virtual Happy Hour program and a Take The Lead Day symposium that reached over 400,000 women globally in 2017.